On Saturday night December 13th, undisputed middleweight champion Bernard Hopkins will fight three time middleweight champ William Joppy. On Thursday January 15th 2004, Hopkins will celebrate his 39th birthday. It's unbelievable that Hopkins has been able to maintain so much of his ability at such an advanced age. Thirty nine years is very old for a fighter, very old. What makes Hopkins even more remarkable is that he hasn't really shown much erosion. The fact that he is not a heavyweight makes this even more amazing. Heavyweights, usually can fight into their later years more so than non-heavies because they don't have to make weight, and heavyweights don't burn themselves out like the lighter fighters do for all the obvious reasons. 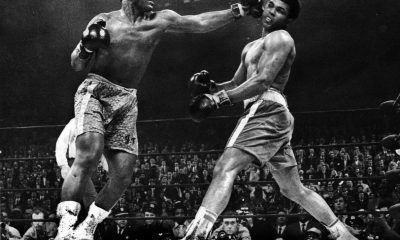 Boxing history is replete with many heavyweights who have fought well in their mid to late 30's, and some have done it into their 40's. Looking at boxing history regarding non-heavies, not many have been as successful as Hopkins after age 36. Yes, there are some, but not too many. At least to the degree of Hopkins. Hopkins is now at the stage of his career, that every time he steps into the ring, many will cite his age as a determining factor as to whether or not he can win. When handicapping a Hopkins fight, the question must be asked, “Is This The Night?” Is this the night Hopkins shows up an empty package, and resembles Robinson in his fourth fight versus Gene Fullmer, or Holyfield in his last few fights? You just know that night looms out there, it's just when will it show up. You know that it will not be announced. In fact we won't even realize it until probably around the third or fourth round of a fight in which Hopkins can't get off and is constantly being beaten to the punch. At that time we'll all nod in acceptance and say to ourselves, it's not there anymore Hop, time to move on and get on to the next stage of your life. Which in the case of Hopkins, I have no doubt will be prosperous and rewarding. All that being said, I'm here to tell you that night when Hopkins shows up an empty package is not December 13, 2003. That's right, Hopkins will defeat the not so young 33 year old William Joppy and reaffirm that he is still the King of the middleweights. I don't mean any disrespect to William Joppy. He's been an outstanding fighter and has had an outstanding career, but Hopkins is one of the greats. The last two legendary middleweight champions where Carlos Monzon of the 1970's, and Marvin Hagler of the 1980's. Hopkins must be in the conversation when those names are mentioned. I'm not saying he is better than either of them, but I haven't a single doubt that he could have fought with them and held his own. And if he was defeated by them, it would've only been by decision. Back to Hopkins and Joppy. I see where some fans and writers have picked Joppy to win. No doubt that it's more of a pick against Hopkins age than it is a pick on who's the better fighter. Lets not forget that Joppy is 33 and took a severe beating versus Trinidad, and hasn't looked the same since. I know Hopkins hasn't looked like Ray Robinson since Trinidad either, but I believe it's more because of him not being totally focused for fighters like Carl Daniels and Morrade Hakkar. Believe me, Joppy will have his full attention. In trying to determine the winner of a fight, I look at what each fighter can do to offset the other in order to win the fight. Exactly what does Joppy do better than Hopkins? Absolutely nothing! Everything that Joppy does well, Hopkins does equally as well or better. Joppy can't beat Hopkins if they trade and the bout turns into a street fight. He can't out-punch Hopkins, and clearly doesn't have the chin to withstand an all out assault by Hopkins? Hopkins also has the advantage in reach and experience, not to mention that he's the better boxer and more adaptable fighter. What strategy can Joppy employ? If he goes at Hopkins and fights him, he'll most likely get knocked out. If Joppy moves away from Hopkins and tries to out box him, he'll most likely lose every round and the decision. Joppy has to hope that he has the best night of his career, and Hopkins shows up totally shot? When handicapping this fight, I just don't see how Joppy can pull it out. Hopkins holds every advantage that one fighter can hold over another. It must also be noted that Hopkins is as confident and mentally tough as any fighter in boxing today, regardless of weight class. When one fighter is superior to his opponent in every facet of boxing from A to Z, I don't see it as being very difficult to handicap. Joppy is a good fighter and deserves respect as a three time champ, but I think Hopkins still has some greatness left and wins by stoppage. On the Calender it would appear to be advantage Joppy, but in the ring I say it will be advantage Hopkins! Bernard Hopkins: Now What ? They're calling it the “War at 154,” though no one will confuse it with plucking evil dictators out of dirty rat holes or patrolling the rubble and dark streets of a dying city. Still, they're hoping this fight somehow lives up to its top billing, praying a slugfest breaks out instead of 12 rounds of elevator music. IBF champ Winky Wright (46-3, 25 K0s), versus WBA and WBC champ Shane Mosley (39-2, 35 K0s) for the undisputed junior-middleweight (or, depending on your mood, super-welterweight) championship of the world. It has a nice, long-overdue ring to it, a kind of “it's about damn time,” feel to it. 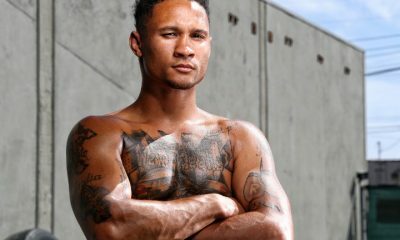 If you want to give credit to the right people for getting this fight done, you can start with Cory Spinks, an unlikely hero now known as the undisputed welterweight champ of the world. If Spinks hadn't beaten Ricardo Mayorga on Dec. 13, Wright could have spent January and February snagging some sun on a St. Petersburg beach. That's because Mayorga was expected to walk through Spinks on his way to a lucrative fight with Mosley in March. But somehow, Spinks found a way to beat Mayorga and suddenly, Mosley no longer had a March opponent and everything appeared to be ruined. Plans were shattered, promises broken, money was lost. The wife cried, the dog howled and the kids were sent to bed early. Then an idea occurred to someone important. Hey, what about Ronald “Winky” Wright? I don't think he's got any big plans for March. Winky, who was free in March, owes Cory a friendly slap on the back. 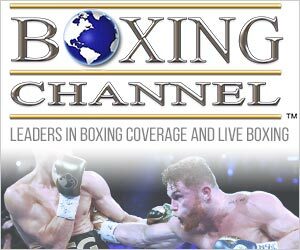 So what does the March 13 fight between Mosley and Wright (on HBO) at the Mandalay Bay Resort and Casino in Las Vegas mean? Just about everything if you weigh 154 and hold a world title belt. It means Winky finally gets the big-money, big-name fight that could define his career, the fight he's been chasing since his controversial majority-decision loss to Fernando Vargas in 1999. It means Gary Shaw, Mosley's promoter, also deserves a little pat on the back for somehow putting this fight together. 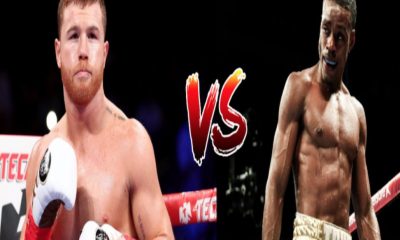 It means for the first time in 29 years, you'll only have to know one name when the bar talk turns to who the best junior-middleweight fighter in the world is. It means Mosley better arrive at the gym early and leave late. He's not fighting the awkward banger he'd be facing in Mayorga. While Mayorga knows how to slug, Wright knows how to box. It means Wright doesn't have to pack his passport the day he leaves for the fight. He won't have to hire an interpreter, change his currency, drive on the left side or learn how to eat and pronounce strange food. Of Wright's 49 fights, 20 have required extra paperwork and extra-long plane rides. He's fought in eight different countries and on four different continents. No wonder no one over here knows who Winky Wright is. Finally, this fight means that with the right money and for the right reasons, two guys in the same weight class holding different world titles, can come to an understanding that meeting inside the ring to decide who is the real champion makes all the sense in the world. The sad thing is, it took an upset by another fighter in a different weight class – Spinks – to finally make it happen. One of the great curiosities of McCain's campaign to slip through Congress his own pet project, the expensive ($36 million over five years), ineffectual, and perhaps unconstitutional Professional Boxing Amendments Act (to federalize control of boxing) has been his outright refusal to include television entities – by far the most powerful and influential forces in the sport – among those which would fall under regulatory jurisdiction. Critics have cried foul – and they've had a point. 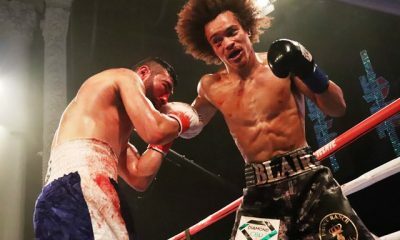 If networks are going to control the balance of power, define the major 'players', put fighters under contract, and in some cases actually assume the 'de facto' role of a promoter, they are receiving unequal and unfair protection vis-a-vis the promoters in boxing who are actually required to be licensed and regulated. However, McCain has been resolute about maintaining this protection, avoiding all opportunities to adjust or amend the bill to accommodate the reality of the industry, not to mention Senator Harry Reid of Nevada, who had previously introduced legislation that would provide some oversight of networks when they play a promotional role. McCain has been nothing short of combative on occasion, “calling out” Reid in press conferences, and in correspondence he has leaked to the public. Why is McCain so stubborn? Part of the reason lies in a mode of political operation that has become imbedded in the man itself, despite countless “spins” to the contrary. What is common knowledge inside the Beltway, but not necessarily among average boxing fans, is that while McCain has carefully crafted an image as a reformer railing against special interests, he has developed a talent that is much more acute, as one of the very best in the business at feeding from the corporate trough. He has been slick enough to parlay his coziness with corporate interests into political capital, resulting in lots of money coming his way for campaigns. And his public relations apparatus, which has included many highly-cooperative writers, both in and out of sports, has enabled him to avoid having to discuss the considerable influence special interest groups have had on the drafting and development of McCain's boxing bill – the same types of groups he would purport to be thwarting in the Bipartisan Campaign Finance Reform Act (otherwise known as McCain-Feingold), which, at the end of the day, amounts to little more than a rather brazen attempt to protect his own incumbency and that of other elected officials. Campaign finance records available through the website OpenSecrets.org indicate that, for example, during 1999, the third-highest contributor to what, at the time, was McCain's insurgent run at the Republican presidential nomination was Viacom ($47,750), which controls a number of TV outlets, including Showtime, which has a major investment in boxing. The top eight corporate contributors to McCain's “Straight Talk America” political action committee from 1997-2002 included three companies that would be affected, one way or another, by the way McCain's bill was shaped – Viacom, AT&T (which controlled cable outlets and sold pay-per-view boxing events), and AOL Time Warner (which owns HBO, boxing's most powerful single entity). And as for McCain's last U.S. Senate campaign, waged in 1998, the list of his top fifty corporate donors is replete with entities who have a substantial stake in boxing, and which have a “special interest” in avoiding the regulatory blanket – Viacom (3rd – $55,250), AT&T (4th – $51,563), NBC/General Electric (20th – $19,500), Fox/News Corp. (22nd – $19,050), Time Warner (T43rd – $12,000), and Univision (T43rd – $12,000), not to mention Anheuser-Busch (5th -$51,563), a company in which McCain has considerable financial interests, both individually (he has reported at least a half-million dollars in debentures) and through his family (which controls the largest distributorship in Arizona), and which over the past two decades has been boxing most prominent sponsor, with nearly all of that advertising delivered through television. The Senate Committee on Commerce, Science and Transportation, which McCain chairs and under whose domain the boxing bill falls, is heavily courted by companies with interests in the sport. For the six-year cycle between 1995-2000, the top committee-related contributors to committee members include: AT&T ($369,960), Time-Warner ($249,585), Viacom ($167,654), the Walt Disney Company, which owns ESPN ($147,758), and the National Cable Television Association ($129,101). Noted boxing promoters like Don King, Bob Arum, Cedric Kushner, Main Events, Duva Boxing, Gary Shaw or DiBella Entertainment do not appear on that list; apparently there was not enough in the way of donations to rise in McCain's pecking order. Despite his well-cultivated “reformer” image, McCain has time and again demonstrated that he is a creature of corporate America and a bedfellow of corporate lobbyists. His leveraging efforts have been particularly remarkable, and he's utilized his position on the Commerce, Science and Transportation Committee – first as the ranking Republican and now as chair – to extract hundreds of thousands of dollars from corporations he has regulatory power over. McCain, who through his campaign finance measure is regarded by many First Amendment advocates as no friend of free speech, is notorious for freezing out consumer groups who would like to present their cases to his committee but who have not lavished him with campaign donations. According to a February 2000 story in the New York Press, representatives of corporations – the lion's share of which are directly tied to McCain's campaign war chests – out-number such consumer-interest groups by a 10-to-1 margin when it comes to appearances at committee hearings. The causative links between campaign donations and special favors have become a McCain trademark. In 1999, after McCain-authored legislation to allow satellite TV companies to carry local programming in each market, which had previously been prohibited, was approved by his committee, one of the players who stood to experience a resulting windfall – EchoStar Communications – held a huge fund-raiser for McCain's presidential campaign. Of course, one understands McCain's pattern of behavior more vividly upon an examination into his central role in the infamous “Keating Five” scandal, one of history's most naked examples of politicians exerting special levels of influence for the sake of large campaign contributors. Charles Keating Jr., who owned the Lincoln Savings & Loan Association and was a major presence in Arizona, was under investigation by authorities – specifically the Federal Home Loan Bank Board – for making investments of such a speculative nature that they put at risk the government-insured money of depositors. Keating took issue with the premise of the investigation, and wanted the regulators off his back. He had, between 1982 and 1987, stuffed the campaign coffers of five United States Senators – John Glenn of Ohio, Dennis DeConcini of Arizona, Alan Cranston of California, Don Riegle of Michigan, and McCain – to the tune of $1.4 million. At the same time, McCain family members, including his wife and father-in-law, were the chief investors in the Fountain Square Shopping Center, controlled and managed by Keating, with a stake estimated at $359,000. McCain and his family were also frequent vacation guests of Keating – traveling at Keating's expense on Keating's private jet to the resort Keating owned at Cat Cay in the Bahamas – at least nine times in all. Surely there were interests to protect on more than one front. Although he later claimed to be very reluctant in doing so, McCain nonetheless couldn't resist in joining with his four Senate colleagues in April of 1987 to pressure regulators to end their investigation of Keating, which had been ongoing for two years. The regulators later testified that they felt intimidated by McCain's group, which was tagged the “Keating Five”. To illustrate the justification of the investigation, the S&L controlled by McCain's friend Keating busted out, ruining thousands of investors and costing taxpayers $3.4 billion in bailouts, the worst hit in the entire saving and loan scandal. There was also more than one call within his home state of Arizona for McCain to resign. McCain's posture toward television interests in the process of crafting the boxing bill would strongly suggest otherwise. On a personal note, as I reviewed some of the material for this story, my mind regressed to a couple of years ago, as I was compiling the investigative report “A Commission Run Amok”, which dealt with the Florida State Athletic Commission. At the time, Mike Scionti, the commission's former executive director, was awaiting a hearing on ethics charges. He had been embroiled in a firestorm of controversy that eventually led to his firing by Governor Jeb Bush, over what was considered to be highly improper conduct while in office. A non-profit organization – a charity for youth – that the commission had established and Scionti had spearheaded, accepted a large donation from promoter Don King, after which Scionti had sought to change a commission regulation about promotional contracts that would have benefited King. There was no evidence that any money went into Scionti's pocket directly, or that it went to furthering any personal agenda of Scionti's – public relations-related or otherwise. Meanwhile, McCain had gone to bat, more aggressively and, by all accounts, with a much heavier hand, on behalf of entities that plowed money into his election campaigns and to political action committees that were designed to promote McCain's political objectives – in many respects creating a higher public profile for the senator, which has in turn spawned media coverage, book sales, and even more political donations. And I'm saying to myself, isn't what McCain has done more devoid of an ethical foundation than what Scionti did? And are there not 500 others engaged in the same ballgame as McCain – albeit not as skillfully – on Capitol Hill? The stories you hear about boxing people pale by comparison. If state boxing regulators conducted business in the same manner as McCain has conducted his business in Congress, would I not have been able to write about twenty “Operation Cleanup” books by now? And given those parameters, at what price would we be placing the sport into the hands of politicians like him? I would suggest McCain's nothing more than an old dog who could care less about learning new tricks. Copyright 2003 Total Action Inc. In a few days we'll be turning the page on 2003 and looking ahead to another year that is bound to be eventful- they almost always are. But before we go full speed ahead to 2004, let's look back on what we've witnessed the past 12 months in the game of boxing. And what we've found out is that sometimes the sports highlights, were also it's lowlights. Oftentimes, they were one in the same. HIGHLIGHT: Vitali Klitschko's valiant performance against Lennox Lewis. Coming in as a late replacement for Kirk Johnson, Klitschko would give the heavyweight champion all he could handle for six rounds before the fight was halted because of a grotesque cut over his left eye. In fighting so well and bravely against Lewis, he not only changed the perception of himself, but off his whole fighting family. The Klitschko name had been redeemed. LOWLIGHT: Lennox Lewis's behavior with HBO's Larry Merchant after that fight. Lewis has been a very respectable and representative champion during his reign. But he acted like a downright brat in his post-fight interview with Larry Merchant on live television. When confronted with the truth, he tried to hijack the interview by yanking the microphone away from Merchant, who had to hold on for dear life. During the bout he looked like a fading fighter on a bad night. Afterwords, he looked like an infant in need of a timeout. HIGHLIGHT: Arturo Gatti and Micky Ward complete their thrilling trilogy. Gatti and Ward had a lot to live up to when they met for the third time this past June. And live up to it they did, in a fight with momentum shifts and a constantly changing ebb-and-flow. 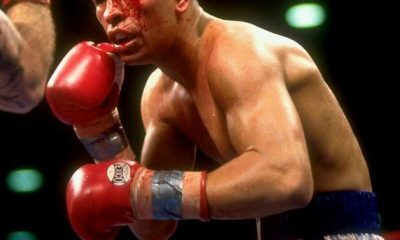 Gatti would overcome a damaged right hand to win a hard-fought ten round decision. It was a fitting conclusion to one of the games great rivalries and the career of Ward, who called it a day on a proud career. LOWLIGHT: There will be no more Gatti-Ward in the future. Which may actually be a good thing, because I'm not sure they could handle anymore of each other. But boxing will miss this rivalry. HIGHLIGHT: Oscar De La Hoya and Shane Mosley rematch. It's always good for the business of boxing when 'the Golden Boy' engages in a mega-fight. The interest is high- even among the usually apathetic general media- boxing becomes the showcase event in the world of sports and everyone involved: from the fighters, to the promoters, the pay-per-view outlets and casino's make money. 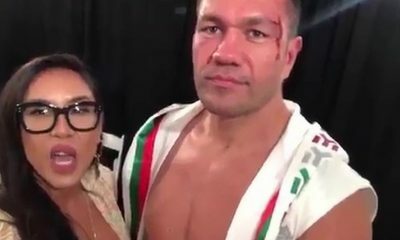 LOWLIGHT: De La Hoya's and Arum's reaction to the decision in that fight. It's one thing to think that you won a close fight, it's even acceptable to complain about the decision. 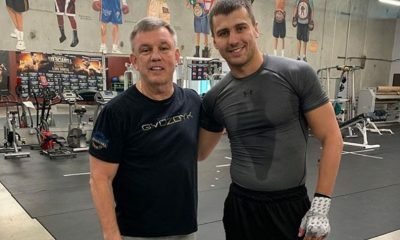 But the manner in which both Oscar and his promoter cast aspersions on the judges and Nevada State Athletic Commission, were low blows of the Andrew Golota variety. Luckily for them, they were only given light slaps on the wrists for their irresponsible and incendiary comments. But the bottom line is they both hurt the sport with their allegations and the fact that more than one media outlet ran with their quotes, further hurt boxing's reputation. In defeating John Ruiz for the WBA heavyweight belt, Jones became the first middleweight in over a hundred years to win a heavyweight crown. This fight also did very well, registering over 500,000 pay-per-view buys, which is always a good sign for the industry. LOWLIGHT: Jones' indecisiveness after that win. Jones had all the momentum in the world after his win over Ruiz, but instead of capitalizing on it, he tried to pinch pennies with Evander Holyfield, threw out astronomical numbers for a fight with Mike Tyson( which is a loooong ways from ever happening) and then had to settle for a rather non-descript fight back at light heavyweight against Antonio Tarver. James Toney had seemingly been in exile since his embarrassing loss to Roy Jones in 1994. But he came back strong in 2003 with wins over Vassiliy Jirov and then a stoppage of Evander Holyfield, which stamped his entrance into the heavyweight division. The game can always use a few good big men and who cares if that comes in the form of former middleweights like Toney and Jones. 'The Real Deal' maintained that he wouldn't retire till he won the undisputed title or got his hat handed to him. Well, after this bout it was evident that the former wasn't happening and the latter did. But like most other great fighters, they are the last to know when it's time to call it a day. HIGHLIGHT: 'Pac Man' gobbles up Barrera. 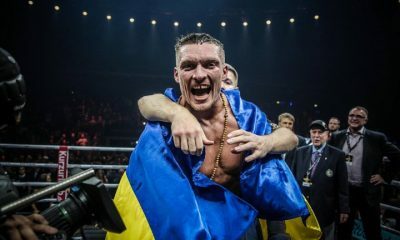 It's always shocking and uplifting when a fighter bursts onto the scene and elevates himself the way Manny Pacquiao did against Marco Antonio Barrera this past November. Barrera, had universal acclaim as one of the sports premiere pound-for-pound performers. Pacquiao, while a respected fighter, was thought to be just a notable opponent for Barrera. Instead, Barrera would get blitzed by the all-out, frenetic attack of the Filipino. Barrera would be simply overwhelmed by the punches of Pacquiao and his corner would have to rescue him from the onslaught of the southpaw in the eleventh round. LOWLIGHT: Murad Muhammad allegedly gobbles up Pacquiao. This was mentioned prominently on the HBO broadcast that out of the $700,000 license fee given to Pacquiao's promoter, Murad Muhammad, only about $300,000 had gone to the fighter. And that was before the money was cut up in various ways. Once source close to the situation tells me that after all was said and done, Pacquiao, wound up with about $80,000. It looks like he may have taken a worse beating than the one he gave out. HIGHLIGHT: Johnny Tapia comes out of a coma in January. You gotta hand it to Tapia, most guys take standing eight counts, this little guy takes mandatory flat lines, this is about the third or fourth time he's been close to dead only to come off the canvas. Once again after another relapse in drugs, he would be in an intensive care unit battling for his life. As friends, family and loved ones surrounded him, he would beat the odds once again to walk out of the hospital and fight again. LOWLIGHTS: Tapia reportedly overdoses in December. Tapia swears that he did not overdose, but rather took some cold medication that he had an allergic reaction to. Uh, ok, sure, whatever you guys say. But do they have to insult everyone's intelligence, here? Isn't it time that Tapia got some real help for his problems?